The Timbre+ we all know that opened last year has launched a new venture, and it’s one that’s giving Yishun citizens something to rejoice about. 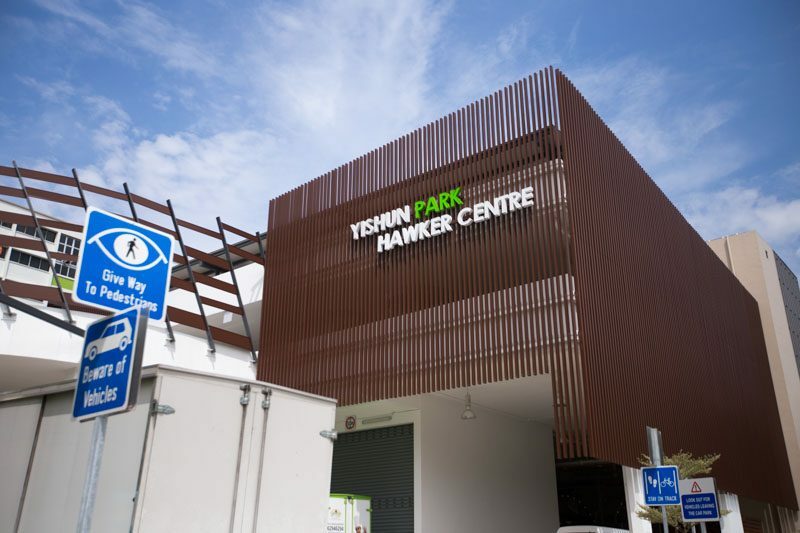 Enter Yishun Park Hawker Centre, that’s home to over 30 stalls. Keep your eyes peeled for the various cuisines that are sold here. 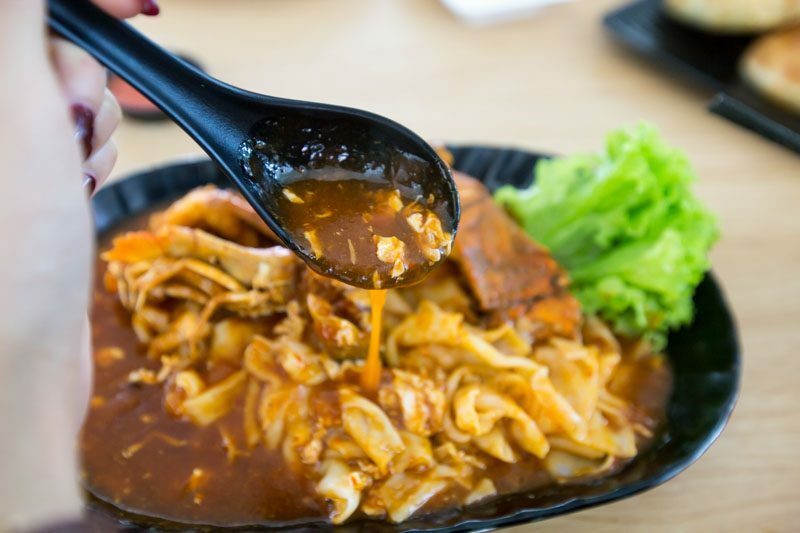 They range from your local delights like Min Jiang Kueh, to Western food classics, and all the way to Japanese Ramen. 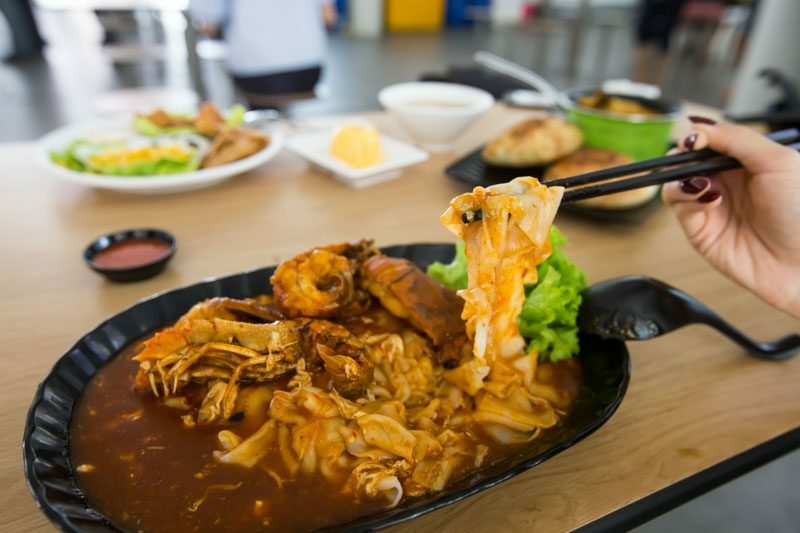 But one that really stands out is Xin Long Xing, one of the many stalls at Yishun Park Hawker Centre that focuses more on seafood dishes. 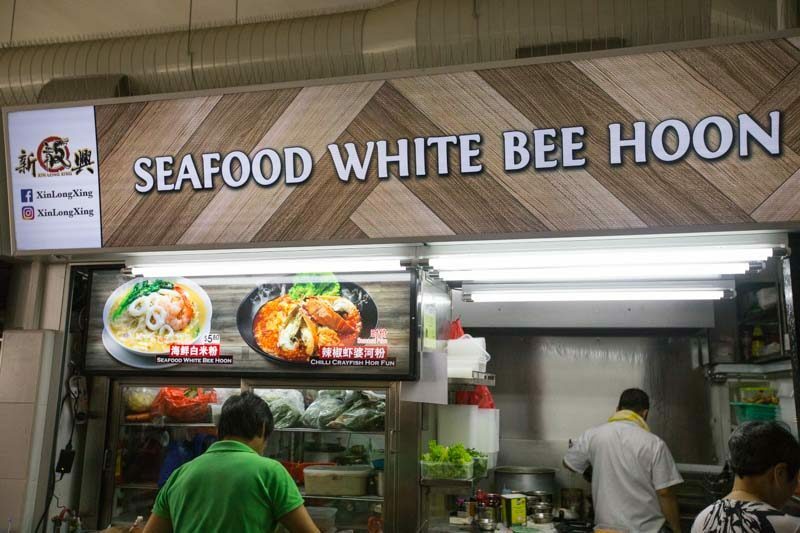 Its signature is the Seafood White Bee Hoon going for $5.80, but something else caught our eyes – Chilli Crab Crayfish Hor Fun. There is a choice of two or three crayfish, and prices vary accordingly to the number of crayfish you opt for, as well as the sizes of the crayfish available. 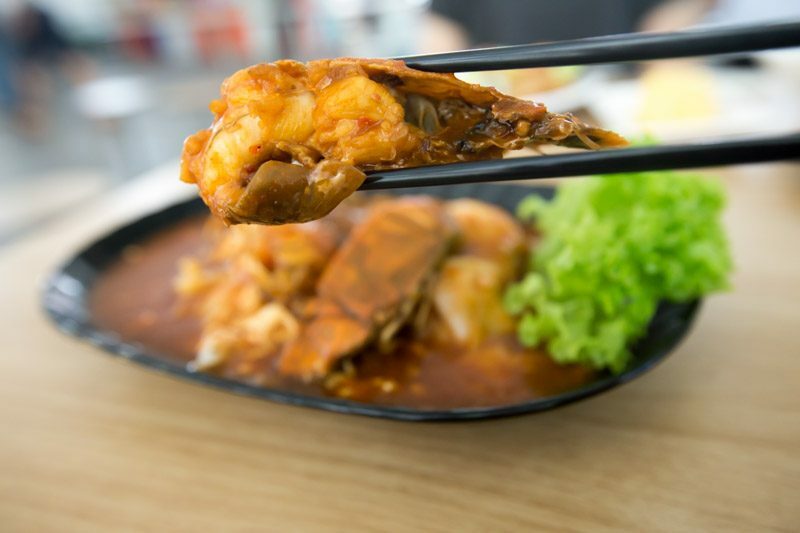 Our plate of Chilli Crab Crayfish Hor Fun was priced at $13. We opted for two crayfish, and admittedly, they were of a relatively small size. The cheapest plate here can go for $12, but we were told prices may go up to as much as over $20 depending on the sizes of the crayfish. 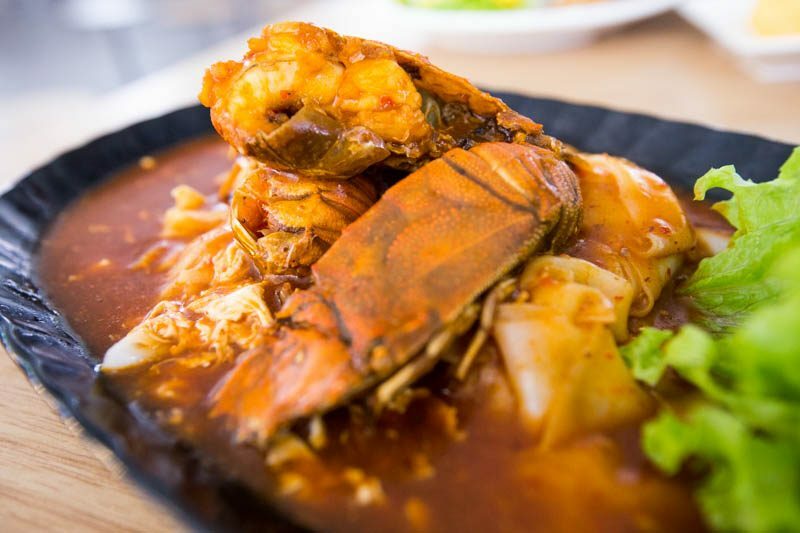 The sauce was viscous with bits of egg whites running through it, just like the classic Chilli Crab dishes you get at restaurants. With a spicy kick at the end, the chilli paired with the sweetness of the crayfish very well. While the crayfish that came with our dish was relatively small, the freshness of it made up for its size. The meat had a firm bite, and was not mushy at all. We could easily pull the entire chunk of meat out of its shell without it breaking apart too. Best sign of freshness right there! A saucer of chilli speckled with chilli seeds was served with the dish. People who can’t take spice, beware, as this can be too much to handle for some. The hor fun here was perfectly al dente, but the noodles did tend to stick together quite a lot, and I had to keep mixing it with the sauce to de-clump them. 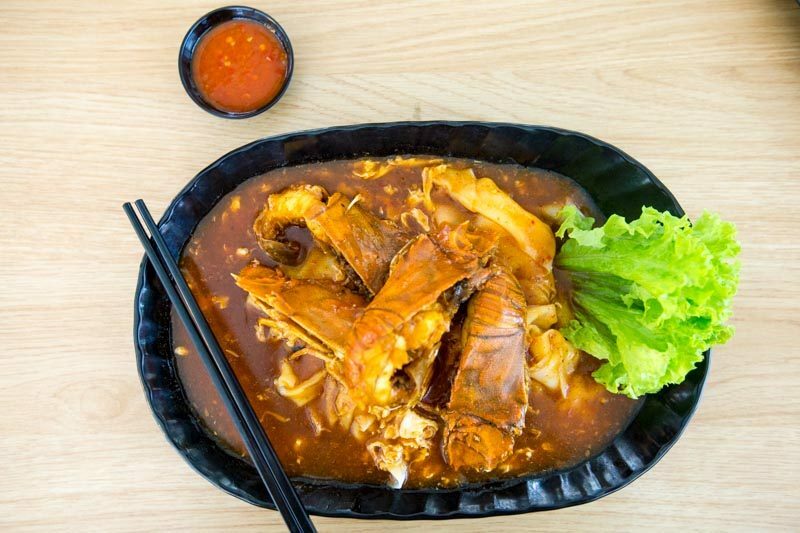 If you’re a seafood lover, then this dish of Chilli Crab Crayfish Hor Fun is definitely up your alley.